After 40 years, Republic of Guinea native Alpha Diallo still remembers the emotion he felt as a 20-year-old college student in Cuba when he made a decision that would change his life. The Cuban government had just decided to send troops to Angola to fight the invading South African army, which had crossed the border into Angola several weeks earlier on Oct. 23, 1975. Diallo, who had come from western Africa to Havana on scholarship two years earlier to study agricultural engineering, attended a rally of 800,000 people in the Plaza of the Revolution as Fidel Castro announced the military mission to support the anti-colonial Angolan movement and fight apartheid. Diallo said that as Africans, he and the other students felt a special obligation to help the Cubans fight for the liberation of other African countries. Since the early 1960s, Cuba had provided crucial support to movements throughout Africa seeking to free themselves from colonialism. In Guinea-Bissau, Cuba had provided military instructors and doctors, enabling the rebels to gain their independence from Portugal two years earlier. After the Portuguese dictatorship fell in 1974 and Portugal prepared to grant Angola independence on Nov. 11, 1975, three local movements fought to take power. The largest rebel group with the most popular support was the People’s Movement for the Liberation of Angola (MPLA). They had gained a decisive advantage internally and were poised to take control of the government. The MPLA was providing critical training and safe haven to other anti-colonial rebel groups opposed to minority rule from neighboring countries such as (Nelson Mandela’s) ANC of South Africa, SWAPO of Namibia, and FRELIMO of Mozambique. By early November, the South African Defence Force (SADF) was advancing 45 miles per day toward the capital Luanda. South Africa’s invasion jeopardized not only Angola’s revolution, but the struggle for liberation throughout the continent. The racists were set to install a puppet regime led by former Portuguese collaborator Jonas Savimbi that would be amendable to white rule in South Africa and willing to work with apartheid to crush the liberation movements. The situation in Angola was bleak. “The MPLA leaders, who had been prepared for a guerilla struggle rather than a full-scale war, then understood that only an urgent appeal for international solidarity would enable them to rout this concerted attack by neighboring states, supported by the most rapacious and destructive resources of imperialism,” wrote Colombian author Gabriel García Marquez in 1977. The Angolans had only one unlikely country they could turn to: Cuba. The poor Caribbean country, suffering under a vicious economic war waged on them for 15 years by the world’s most dominant superpower, had already provided military instructors to assist the MPLA. But they would not be nearly enough on their own. MPLA leader Agostinho Neto would appeal to Fidel Castro on Nov. 3 for reinforcements to ward off the racists. On Nov. 7, the first 82 soldiers, dressed in civilian clothes and carrying light artillery, set off on a Cubana Airlines flight to Luanda. Over the coming weeks and months, Cuban troops would pour into Angola by air and by sea. By the end of the year, they would number nearly 10,000 . More than a decade later, before the end of apartheid, there would be as many as 36,000 troops throughout the country. 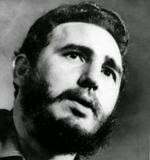 Fidel Castro, Commander of the Cuban Revolution, would immerse himself in the battle. “There was not a single dot on the map of Angola that he was unable to identify, nor any feature of the land that he did not know by heart. His absorption in the war was so intense and meticulous that he could quote any statistic relating to Angola as if it were Cuba itself, and he spoke of its towns, customs and peoples as if he had lived there all his life,” writes García Marquez. After landing in Angola, Cuban troops went straight to the battlefield and proved decisive in keeping the racist South Africans at bay. On Nov. 10, Cuban troops ambushed the SADF’s Zulu column, inflicting heavy casualties on the apartheid army. At the Battle of Ebo on Nov. 23, Cuban soldiers attacked the Zulu column as it approached a bridge, according to historian Piero Gleijeses. They killed and wounded as many as 90 racist troops and knocked out seven or eight armored cars. The victory bought Cuba time as reinforcements poured in, and Angola received a shipment of weapons from the Soviet Union. The apartheid army tried to advance, but were pushed back by heavy resistance. By Dec. 27, they were ordered to fall back. South Africa had tried to disguise its involvement in the invasion of Angola by pretending that mercenaries, rather than the regular South African army, had invaded. The Americans, meanwhile, tried to distance themselves by claiming they had no involvement in South Africa’s military operation. But it is clear from the documentary record that Washington’s fingerprints were all over South Africa’s actions. By the end of 1975, Cuban troops had routed the apartheid army and prevented their takeover of the country. There is no doubt that had Castro and the Cuban government declined to confront the apartheid regime on the battlefield, the MPLA would have fallen. A South African victory would have solidified apartheid and devastated the decolonization movements across southern Africa. Diallo and his fellow countrymen in Cuba would not, in the end, join the fight against apartheid. 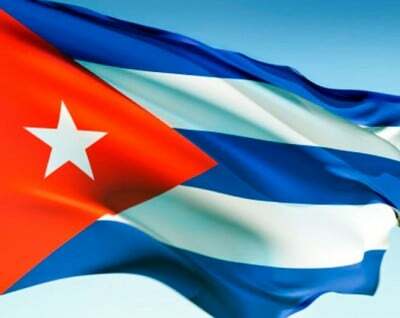 When the Cuban government found out that the African students wished to take part in the military mission, they informed them through the university that they should stay in Cuba. But Diallo is glad the Cubans made it clear that the students should serve in a civic capacity, rather than a military one. “They told us: ‘Your country needs you. We appreciate your offer, but let us handle this. Stay here and finish your studies and then go back and help your own countries,’ ” Diallo said. Gleijeses, Piero. Conflicting Missions: Havana, Washington, and Africa, 1959-1976. The University of North Carolina Press, 2002. Kindle edition.